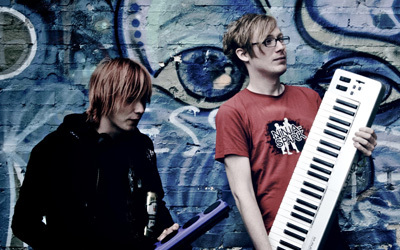 In 2005 Jim Knutsson and Linus Wadstr�m crashed on to the alternative scene in Sweden with their spectacular live shows and wild 8 bit pop music. Mostly disregarded as a fad by contemporary media Ninjaspark did not only perform successfully at numerous festivals in Sweden but also took part in the televised �Talang 2010� where they were misunderstood by the professionals. As the group disbanded in 2010 the members continued in other projects; Slutet for example. Track: "Du är discot i mitt hjärta (Val Venostra Remix)"